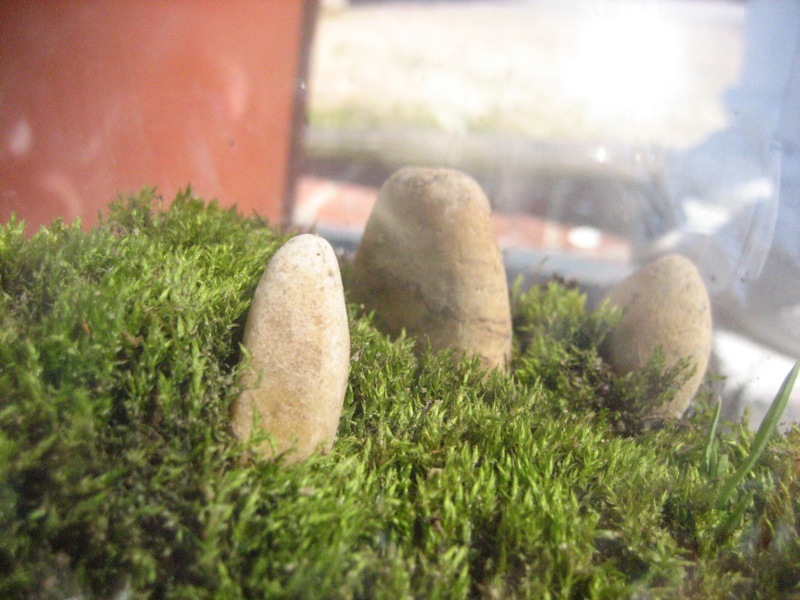 The Fern and Mossery: How Much Sun Does a Moss Terrarium Need? How Much Sun Does a Moss Terrarium Need? Lea Hannah at eatgrowlive has a detailed and tried-and-true guide on putting together moss terrariums on her blog. Also love the stonehenge-ish terrarium as posted above! I appreciate her honesty about "learning the hard way" on some aspects of terrarium care and especially would like to share this gem as it's a definite misconception with terrariums and growing moss indoors. Despite its reputation as a shade plant, once it’s inside your house, moss probably wants more sunlight than you thought. Try to aim for 5-8 hours of indirect sunshine a day. Rooms that you’d describe as “sunny” are best, but windowsills with full sun are death. DEATH. It’s like being in a closed car in August. You wouldn’t like it, and neither does your terrarium.